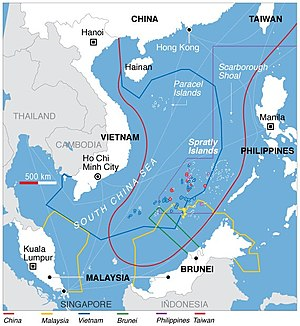 Given recent activities by the PLA(N) and the Russian Navy, the matters of seabed warfare and the defense of undersea infrastructure have emerged as topics of interest to the U. S. Navy.1,2 Part One of this paper presents several significant considerations, arguably contrary to common thinking, that highlight the challenges of bringing the deep sea and benthic realm into cross-domain warfighting in the maritime environment. Part Two presents three warfighting concepts drawn from the body of work done by the CNO Strategic Studies Group (SSG) that would give the Navy capabilities of value for the potential battlespace. For clarity the term “deep ocean” will be used to cover the ocean bottom, beneath the ocean bottom to some unspecified depth, and the ocean water column deeper than about 3,000 feet.3 The deep ocean is where the U.S. Navy and the submarine force are not. Undersea infrastructures are in the deep ocean and on or under the seabed for various purposes. How does the maritime fight on the ocean surface change when there must be a comparable fight for the deep ocean? In the maritime environment, it is long past time for the U.S. Navy to be mindful of and develop capabilities that account for effects in, from, and into the deep ocean, including effects on the ocean floor. Cross-domain warfighting demands this kind of completeness and specificity. As the Army had to learn about and embrace the air domain for its Air-Land battle in the 1980s, the Navy must do the same with the deep ocean for maritime warfare today and for the future. However, the current frameworks of mine warfare, undersea warfare, and anti-submarine warfare as practiced by the Navy today are by no means sufficient to even deny the deep ocean to an adversary let alone control the deep ocean. To “own” a domain, a force must have the capability to sense and understand what is in and what is happening in that domain. The force must also have the capability to act in a timely manner throughout that domain. Today, the Navy and many nations around the world have radars and other sensors that can detect, track, and classify most of anything and everything that exists and happens in the atmosphere from the surface of the ocean and land up to an altitude of 90,000 feet altitude or higher, even into outer space. The Navy and many nations also have weapons – on the surface and on land, and in the air – that can act anywhere within the atmosphere. Some nations even have weapons that can act in the atmosphere from below the ocean surface. In short, with regard to the air domain, relevant maritime capabilities abound, including fixed or mobile, unmanned or manned, precise or area. Naval forces can readily affect the air domain with capabilities that can cover the entire atmosphere. But the same cannot be said for the deep ocean. Figure 1 below is based on information drawn from unclassified sources. 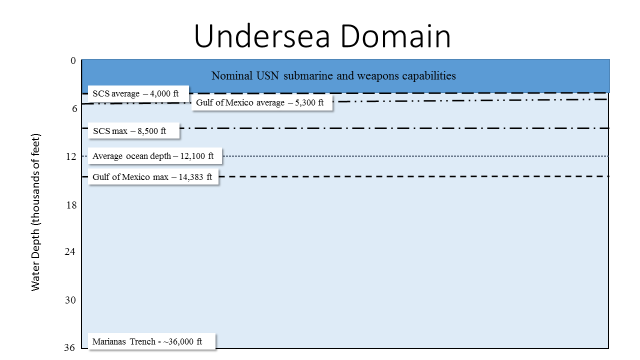 Consider this depiction of the undersea in comparison with the air domain. Notice that there is a lot of light blue space – space where the Navy apparently does not have any capability to sense, understand, and act. The Navy’s capability to effect in, from, and into the deep ocean is at best extremely limited, but for the most part non-existent. Capabilities specifically relative to the seabed are even less, and with the Navy’s mine countermeasures capabilities also being very limited. What systems does the Navy have to detect unmanned underwater vehicles at very deep depths? What systems does the Navy have to surveil large ocean areas and the resident seabed infrastructure? What systems does the Navy have to act, defend, or attack, in the deep ocean? Arguably, the Navy has built an approach to maritime warfighting that dismisses the deep ocean, and done so based on the assumption that dominating the top 3,000 feet of the waterspace is sufficient to dominating the entire waterspace – ocean floor to ocean surface. Undersea infrastructure is presumably safe and protected because the ceiling over it is locked up. However, the force must have the capabilities to sense, understand, and act in the deep ocean. While the assumption for dominating the deep ocean by dominating the ceiling may have been useful in the past, it clearly is no longer valid. In the past, it was very expensive to do anything in the deep ocean. The technology was not readily available, residing only in the hands of two or three nations or big oil companies. This no longer holds true. The cost of undersea technology for even the deepest known parts of the ocean has dropped dramatically, and also widely proliferated. If one has a couple hundred million dollars or maybe a billion dollars, they can sense, understand, and act in the deep ocean without any help from a nation or military. Unlike the U.S. government-funded search for the SS Titanic by Robert Ballard, Microsoft co-founder Paul Allen independently found USS Indianapolis in over 15,000 feet of water in the Philippine Sea. The capabilities to sense, understand, and act in the deep ocean are available to anyone with a reasonable amount of money to buy them. Figure 1 is misleading in one perspective. At the level of scale in figure 1, the ocean floor looks flat and smooth. If something is placed on the ocean bottom, such as a towed payload module, a logistics cache, sensors, or a weapon system, could it be easily found? Consider figure 3. The red line is just under three miles in length. The depth variation ranges from 12,100 feet to 11,900 feet.5 These figures provide examples of evidence that the abyssal is not featureless. The assumption of a flat and smooth ocean floor is simply wrong, and severely understates the challenge of sensing and acting in the deep sea. How hard would it be to find a standard-sized shipping container (8ft x 8ft x 20ft or even 40ft) on this floor? It could be incredibly difficult, requiring days or weeks or even months with many survey vehicles, especially if the area had not been previously surveyed. This is a lesson the U. S. Navy learned in the Cold War and has long since forgotten from its “Q routes” for port access. 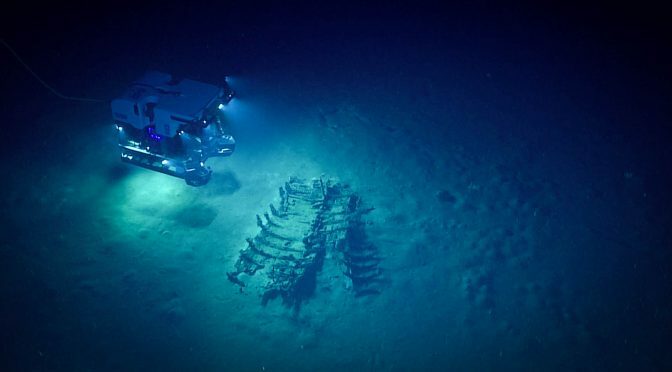 And it would be harder still if one were purposefully trying to hide whatever they placed on the ocean floor, such as in the pockmarks of figure 3. Based on reported results from a two-year search for Malaysian Airlines flight MH-370, approximately 1.8 million square miles of the ocean floor were searched and mapped to a horizontal resolution on the order of 100 meters and vertical resolution of less than one meter.6 Yet, the plane remains unlocated. Hiding things on the seabed is fairly easy, while finding things on the seabed is incredibly difficult. Unless one is looking all the time, and has an accurate baseline from which to start the search and compare the results, sensing in the deep sea is significant challenge. The next consideration is that of the matter of scale of the geographic area and what resides within it. This is what makes numbers matter. Figure 4 provides a view of the Gulf of Mexico covering about 600,000 square miles in area and with waters as deep as 14,000 feet. There are about 3,500 platforms and rigs, and approximately 43,000 miles of pipeline spread across the Gulf. Of note, the global economy and worldwide demands for energy have caused the emergence of a strategic asymmetry exemplified by this figure. China gets most of its energy imports by surface shipping which is vulnerable to traditional anti-shipping campaigns. The U. S. gets much of its energy from undersea systems in the Gulf of Mexico. While immune from anti-shipping, this infrastructure is vulnerable to seabed attack. 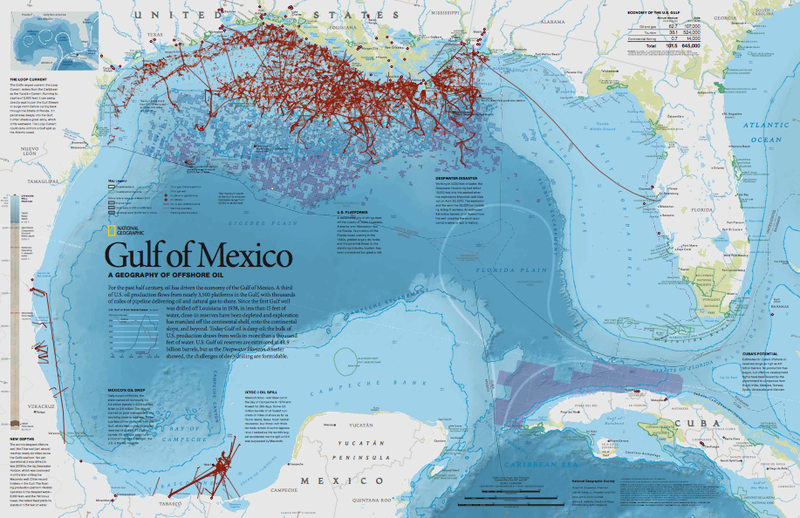 In late 2017, the Mexican government leased part of their Gulf of Mexico Exclusive Economic Zone seafloor to the Chinese for oil exploration. 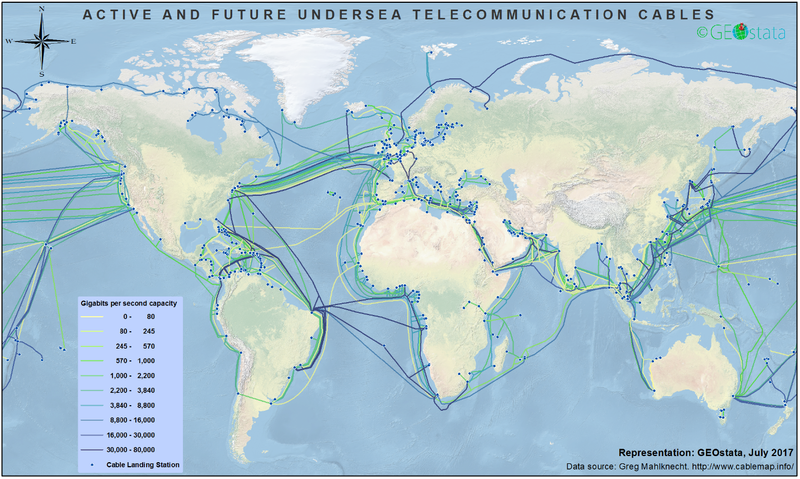 Figure 5 provides a depiction of global undersea communication cables with some 300 cables and about 550,000 miles of cabling. Figure 6 provides a view of the South China Sea near Natuna Besar. This area is about 1.35 million square miles with waters as deep as 8,500 feet. Recall that in the two-year search for Malaysian Air flight MH 370 they surveyed only 1.8 million square miles, and did so in a militarily-benign environment. The deep ocean demands that a maritime force be capable of surveilling and acting in and over large geographic areas just like the ocean surface above it. Undersea infrastructure is already dispersed throughout those large areas. In addition, because the components of undersea infrastructure are finite in size, the deep ocean also demands that a maritime force be capable of surveilling and acting in discrete places. While it is arguable that defense in the deep ocean is a wide-area challenge and offense is a discrete challenge, the deep ocean demands that a maritime force be capable of doing both as part of the maritime battle. Therefore, the deep ocean presents an “area” challenge and a “point” challenge simultaneously, and both must be addressed by maritime forces. In addition, the size of the area and the number of points of interest means that a dozen UUVs or a couple of nuclear submarines are not in any way sufficient to address the maritime warfighting challenge of defending the deep ocean and undersea infrastructure of this scale. Furthermore, the situation is exacerbated by systems and vehicles in the deep ocean above the seabed. The threat is not a few, large, manned platforms, but many small unmanned vehicles and weapons. The historical demarcation among torpedoes, mines, and vehicles is no longer productive except maybe for purposes of international law and OPNAV programmatics. Operationally and tactically, the differentiation is arbitrary and a distraction from operational thinking. The Navy should be talking in terms of unmanned systems – some armed or weaponized, and some not; some mobile and some not; some intelligent and some not. Torpedoes can easily become mobile, armed UUVs with limited intelligence. Mines can also become mobile or fixed UUVs with very limited intelligence. In the course of the author’s research and in research conducted by the CNO SSG, there were no situations or considerations where reclassifying mines and torpedoes as UUVs was problematic with regard to envisioning war at sea. Doing so eliminated a significant tactical and operational seam and opened up operational thinking. The systems for the detection and neutralization of UUVs are the same as those needed to detect and neutralize torpedoes and mines, and the same for surveilling or attacking undersea infrastructure. Ultimately, understanding the deep ocean and warfare in the deep ocean is a matter of numbers and time – requiring plenty of sensors, and plenty of time. Part Two will present three warfighting concepts drawn from the body of work done by the CNO Strategic Studies Group (SSG) that would give the Navy capabilities for the deep sea battlespace. 1. This article is based on the author’s remarks given at the Naval Postgraduate School Warfare Innovation Continuum Workshop on 19 September 2018. All information and conclusions are based entirely on unclassified information. 2. See for example Rishi Sunak, MP, Undersea Cables: Indispensable, Insecure, Policy Exchange (2017, London, UK); Morgan Chalfant and Olivia Beavers, “Spotlight Falls on Russian Threat to Undersea Cables”, The Hill, 17 June 2018 accessed at http://thehill.com/policy/cybersecurity/392577-spotlight-falls-on-russian-threat-to-undersea-cables; Victor Abramowicz, “Moscow’s other navy”, The Interpreter, 21 June 2018 accessed at https://www.lowyinstitute.org/the-interpreter/moscows-other-navy?utm_source=RC+Defense+Morning+Recon&utm_campaign=314b587fab-EMAIL; Stephen Chen, “Beijing plans an AI Atlantis for the South China Sea – without a human in sight”, South China Morning Post, 26 November 2018 accessed at https://www.scmp.com/news/china/science/article/2174738/beijing-plans-ai-atlantis-south-china-sea-without-human-sight; and Asia Times Staff, “Taiwan undersea cables ‘priority targets’ by PLA in war”, Asia Times, 6 December 2017 accessed at http://www.atimes.com/article/taiwan-undersea-cables-priority-targets-pla-war. 3. Based on unclassified sources, manned nuclear submarines can operate to water depth of 1,000-1,500 feet, manned diesel submarines somewhat shallower, and existing undersea weapons to depths approaching 3,000 feet. 4. Kim Picard, et. al., “Malaysia Airlines flight MH370 search data reveal geomorphology and seafloor processes in the remote southeast Indian Ocean,” Marine Geology 395 (2018) 301-319, pg 316. 5. Kim Picard, et. al., “Malaysia Airlines flight MH370 search data reveal geomorphology and seafloor processes in the remote southeast Indian Ocean,” Marine Geology 395 (2018) 301-319, pg 317. 6. Kim Picard, Walter Smith, Maggie Tran, Justy Siwabessy and Paul Kennedy, “Increased-resolution Bathymetry in the Southeast Indian Ocean”, Hydro International, https://www.hydro-international.com/content/article/increased-resolution-bathymetry-in-the-southeast-indian-ocean, accessed 13 December 2017.